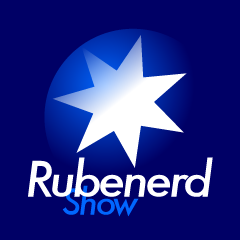 Rubenerd: Rubenerd Show Site Relaunched… Again! Rubenerd Show Site Relaunched… Again! The Rubenerd Show website has been redesigned again! I'm not sure which version I'm up to, version 7 I think? Not sure. I've honestly lost count! Anyway the new site reflects the different recording locations, now Adelaide, Singapore and Kuala Lumpur so I thought saying Rubenerd Show Australia was a bit misleading. Episode Update: There are episodes coming to you soon; I have been having an insane amount of difficulty uploading shows but recently I might have found an alternative method of uploading, so stay tuned! Get it, stay tuned? We're talking about a radio show? Tuned!? Ah shaddup. Hope you like the new site :) any feedback is appreciated! Older post → Best Overnightscape Ever!